Bariatric Hospital Bed Full Electric 54"
This full electric 54" hospital bed frame has a quiet smooth operation. This bariatric hospital bed was developed with the patient in mind. 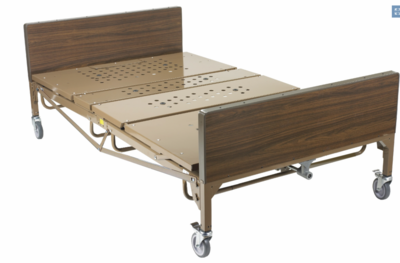 The hospital bed is manufactured with a durable steel frame that supports up to 1000 lbs This hospital bed is comfortable, easy to operate and was designed with security and safety for the patient and care taker. Carton Shipping Weight	379 lbs.